Above all, Hellblade: Senua's Sacrifice is an absolute treat for the ears. The developer's suggestion to use headphones at the start should not be ignored - this is a game that thrives on its moody sounds to create atmosphere. 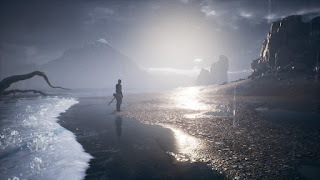 As you guide Celtic warrior Senua through this nightmarish Viking hellscape, you'll hear all around you the gentle patter of rain against rocks and tree branches, the soft crackle of distant thunder, Senua's ragged breath, and David Garcia's hauntingly evocative score of war chants, drums and eerie drones. And then there's the voices. 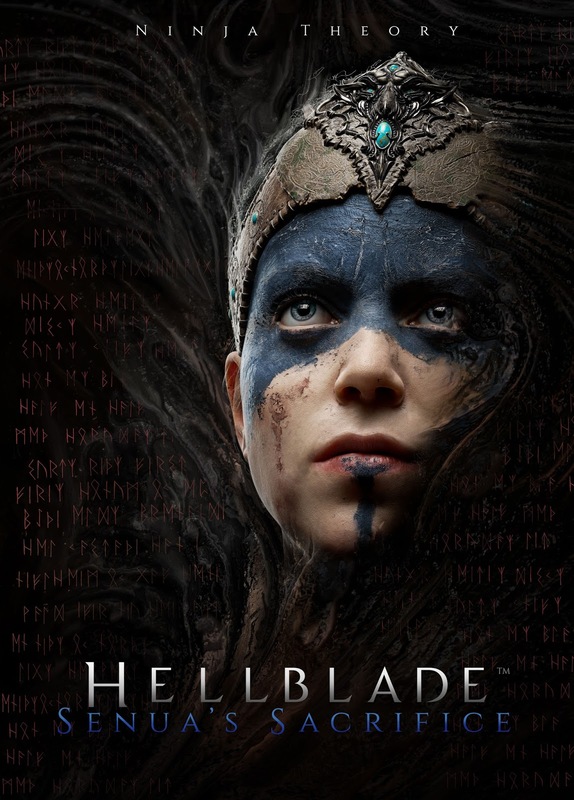 Senua's quest sees her journeying through the Viking underworld to save the soul of her lover who was killed by Viking warriors, but along the way she suffers from psychosis. This manifests as multiple voices in her mind that torment both her and the player: they goad and taunt, they laugh and cry, they mock and guide. Should Senua follow the voices, heed their warning, or forge her own path? For the player too, the voices narrate, they comment, they foreshadow and they confound. 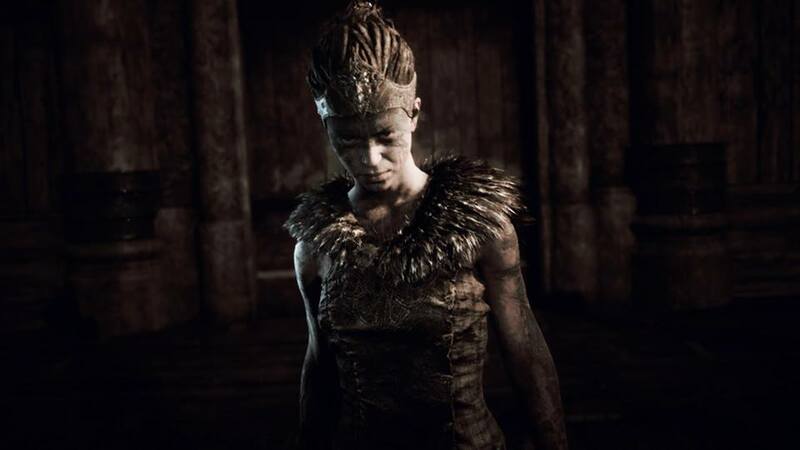 In the centre of some incredible voice acting is Melina Juergens as Senua, who vocally and physically offers a truly arresting and believable performance - her anguish and suffering (mental and physical) is tough to behold. Yet what even is believable here? Hellblade's game world is based on hallucinations and delusions, frightening visions that may or may not be real. Ninja Theory have created a horrifying depiction of mental health masquerading as a fantasy action game, its sound and vision combining to form an intense gaming experience. That the visual and aural effects are based upon the real life experiences of people suffering from psychosis makes this all the more terrifying - rarely do video games treat such a heavy and dark subject matter with equal parts respectful research and creativity. 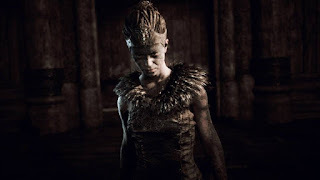 In gameplay terms, Senua's delusions are represented by visual puzzles as she seeks runes and symbols hidden in the world. Conceptually this suits the character as she strives to make sense of her surroundings, spots patterns and maintain her grasp on reality; in actuality these puzzles range from the simplistic to the laborious. The other main gameplay mechanic is combat, which has a similar feel to another "blade" game: Infinity Blade. Where that game requires swipes on your phone's touch screen to block, dodge and attack, here button input has a similar feel with the camera permanently stuck to Senua's back. Soon you'll hit a rhythm of weaving movement, light and heavy sword swings, and a focus ability to slow time, turning each battle into a dance. Die too many times and the game is over, permanently. 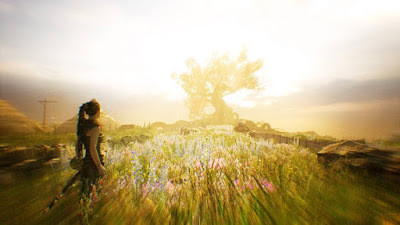 It adds an extra layer of anxiety to the game, but combat is never too difficult until later on where large groups of enemies pounce at once and lengthy battles are used as padding. As a game, then, Hellblade feels somewhat clunky. Guiding Senua feels stiff and robotic, combat and puzzle solving is simplistic though mostly satisfying, and the odd bug or dodgy texture jar with the overall presentation. But the game remains overwhelmingly a success thanks to its atmosphere. There are moments of beauty in the stark, bleak environments as you pause for breath in the game's photo mode. 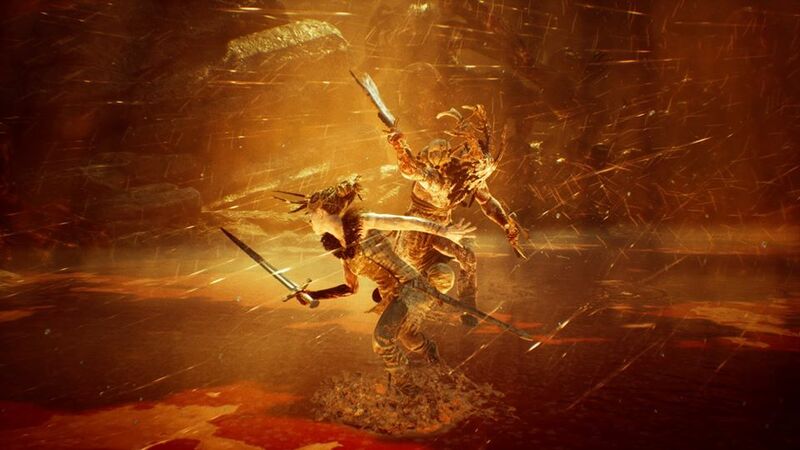 Then you delve deeper into Helheim (or Senua's mind? ), battling her literal demons and grotesque creatures, desperately trying to satiate the endless stream of voices in your ears. It is a phenomenal ride - urgent, necessary, and proof that through interactivity video games are capable of tackling heavy themes with unnerving realism.